It’s worth taking a trip to Berlin, Germany's truly cosmopolitan capital, any time of the year. Discover this lively, flourishing city from the comfort of one of our limousines. Our chauffeur service is ready to take you to the wide range of events and over 100 shows and concerts that Berlin offers daily. Or would you prefer a leisurely tour of the city? Few of Europe’s metropolises offer such a comprehensive view of world history. The Brandenburg Gate, the Reichstag Building (German Federal Assembly), Potsdam Square (Potsdamer Platz) and Checkpoint Charlie are just a few of the must-see attractions, along with landmarks such as the Kurfürstendamm (Ku'damm), Charlottenburg Palace (Schloss Charlottenburg) or the Gendarmenmarkt (a square in Berlin, the site of the Concert Hall as well as the French and German Churches). Give in to the lure of over 100 exclusive boutiques ranging from classic to unusual in style. Your chauffeur will be happy to wait for you. Business trips are often rushed and hectic. Our chauffeur service will take you to your destination safely and on time, ensuring you're comfortable, confident and relaxed when you step out of our vehicle. Book our limousine services either by the hour or for transfers from A to B, or take advantage of our exclusive airport service that you can rely on to get you to and from the airport on time. 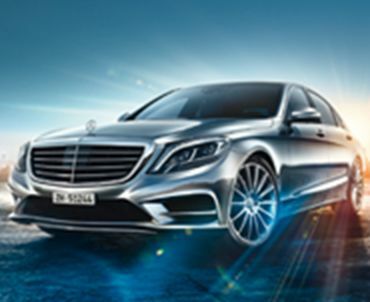 Our fleet of late business and first-class model vehicles offers you a safe, luxurious journey. Our customer care team is available 24 hours a day, 7 days a week, 365 days a year by phone and email. Our booking team will gladly make individual accommodations for any special wishes such as company events, road shows or group bookings. We accept credit cards, as well as payment by bank transfer, or we can invoice you. TOP ALLIANCE – Available around the clock in Berlin. Services in the listed cities are provided by TOP-ALLIANCE and/or our partners.